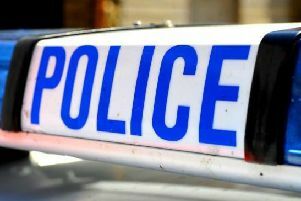 Yobs who threw lit rags at an Apsley home in a suspected arson attack are being hunted by police. Officers are appealing for witnesses and information following the fire in the back of a house in Bunting Close on Monday, March 16. I would like to reassure other residents that we believe this to be an isolated incident, however if you are concerned or see any suspicious activity then please call police. At around 10.10pm four men got out of a white car, which had been parked at the end of the road. They approached a property in the street and one of them attempted to throw lit rags into the back garden, but they didn’t reach and landed on a wall. The group were disturbed by a neighbour and got back into the car before driving off. The suspects are described as white men aged around 19 to 20 years old. The driver of the car had short dark hair while the vandal who threw the rags was wearing a white hooded top and jeans. The car may is thought to have been a Citroen which had two lines on the body work. PC Francis Mungai, investigating, said: “I would appeal to anyone who was in the area that night and saw this vehicle to contact me with information. Anyone with information which could assist the investigation is urged to call PC Mungai using thepolice non-emergency number 101, quoting crime reference D1/15/1673.